Lonely Planet Best of Florida is your passport to the most relevant, up-to-date advice on what to see and skip, and what hidden discoveries await you. Explore the magic of Walt Disney World resort, stroll and peruse paintings on a Miami art walk, or get under the surface and take a snorkeling trip in the Keys; all with your trusted travel companion. Discover the best of Florida and begin your journey now! 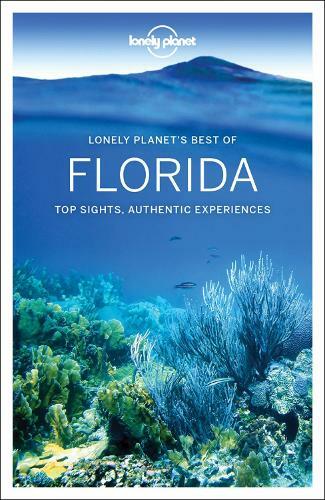 The Perfect Choice: Lonely Planet Best of Florida, our easy-to-use guide, filled with inspiring and colorful photos, focuses on Florida's most popular attractions for those looking for the best of the best. Looking for a comprehensive guide that recommends both popular and offbeat experiences, and extensively covers all the state has to offer? Check out Lonely Planet Florida guide. Looking for a guide for Miami? Check out Lonely Planet Miami & the Keys guide for a comprehensive look at all the city has to offer. Looking for more extensive coverage? Check out Lonely Planet Eastern USA guide for a comprehensive look at all the country/region has to offer.